Archery | Культурный Центр «Рух Ордо» им. Ч.Айтматова! For many centuries the raids on nomadic Kyrgyz people often had to be reflected in an unequal struggle. Defending their land and independence, which required courage, strength and dexterity, the Kyrgyz were well-known as «lions of Mogulistan». They were known as bold warriors and excellent archers. 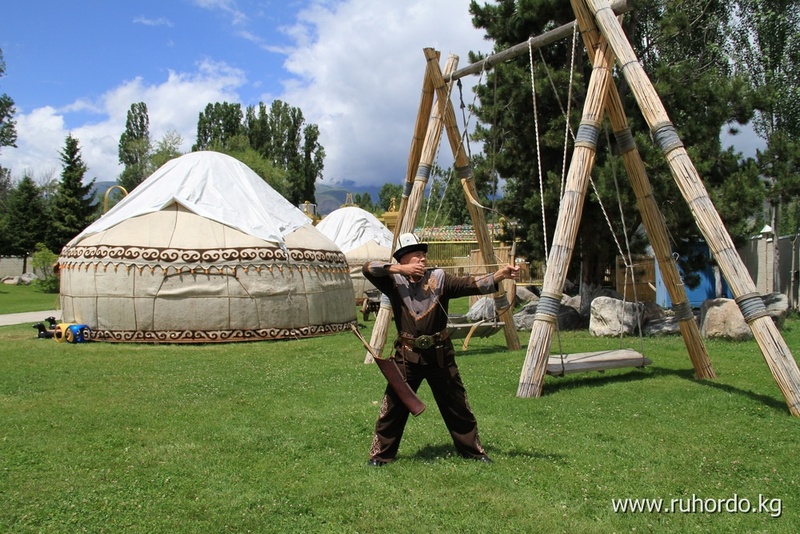 During the «Rukh Ordo» excursion you can learn not only about the customs of nomadic folks and their worldview, but the whole history of Kyrgyzstan within just 2 hours. 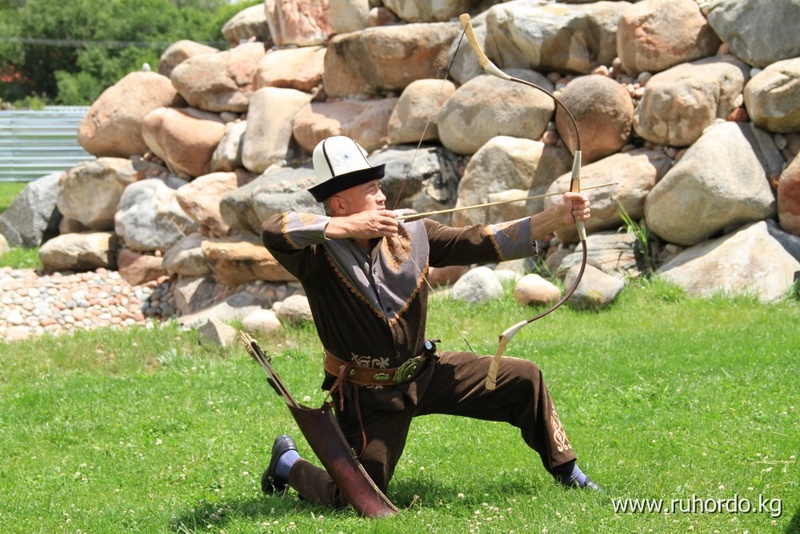 Stories about the people who could survive and become independent, thanks to the courage of the soldiers, for whom honor and dignity were above all perk you up, and the opportunity to shoot with a bow after tour make you feel like a real nomad. p.s. 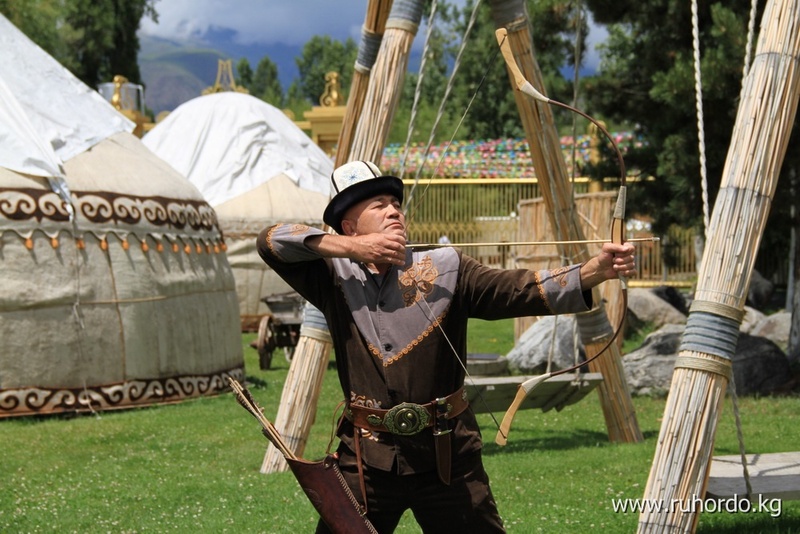 The «Archery» is not included in the price of the entrance ticket. The days and hours of work are not standardized. In order to avoid any inconvenience, please specify the information in advance.